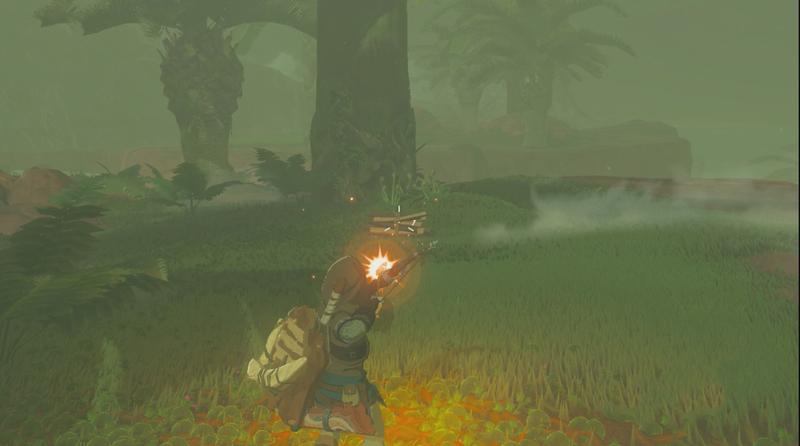 We show you how to wait and pass time to skip weather or go to a particular time of day instantly in The Legend of Zelda: Breath of the Wild. Passing the time in The Legend of Zelda: Breath of the Wild is incredibly useful. Raining or thunderstorms make it harder to climb, and some animals or events are only available at certain times of day, so skipping to the time you want is essential to make gameplay less frustrating. However, passing the time from day to night isn’t as simple as playing the Song of Time on an ocarina. Instead, you have to pass your time in front of a campfire or sleep in a bed. Below we’ll show you how to wait and skip time in front of a campfire in Zelda: BOTW. It might seem silly that a task like simply waiting is so perplexing in Zelda: Breath of the Wild, but this isn’t the kind of game that holds your hand. Instead of a simple menu option, or an item that lets you go to the time of day you want, you have to seek out and find one of two possible locations where passing the time is possible. Finding a campfire in Zelda: Breath of the Wild isn’t very hard. They’re spotted randomly throughout the world, and you’ll always find one near a stable or in towns. However, when you want to pass the time to skip rain or thunderstorms or skip to a time that you need for an event to occur, you’re usually not going to be near a premade campfire. The solution to this issue is to build your own campfire! 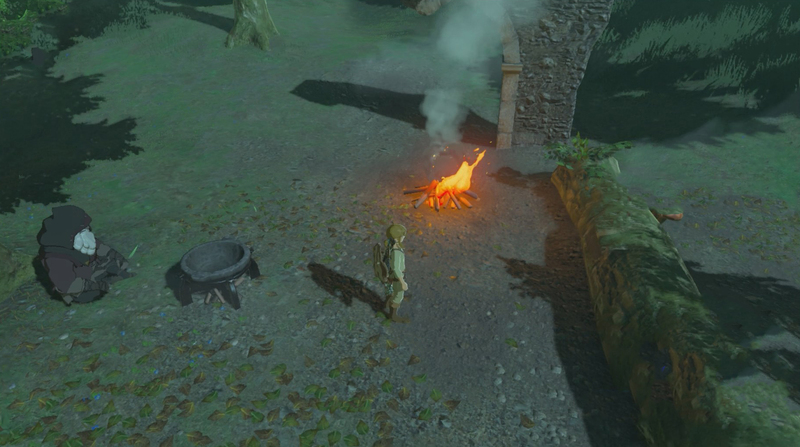 While the game doesn’t explain it well, you’re almost always near one of the two components you need to build a campfire in Zelda: Breath of the Wild. Wood can be found by simply chopping down a tree. Once you cut down a tree, the trunk will remain on the ground. You can then chop the log, and it will turn into a stack of wood you can pick up. Once you have your wood, all you need is a source of fire. Fire Arrows are the surest way to get a fire started, but you can also use a material you can mine from ore deposits scattered around Hyrule: flint. Once you’ve chosen your source of fire, place the wood on the ground by holding it, and drop it in a nice dry area. You can then either shoot it with a Fire Arrow or drop a piece of Flint near it and hit it with a metallic weapon. Either way, the stack of wood will catch fire and turn into your own campfire where you can pass the time at your leisure. 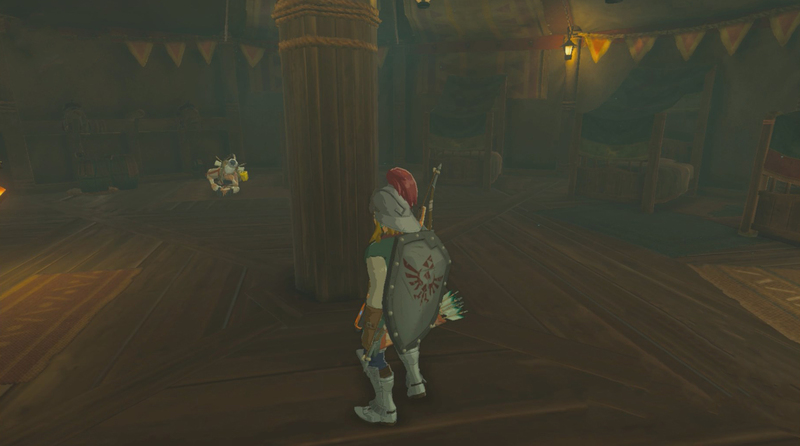 Another way to pass the time in Zelda: Breath of the Wild is to find a bed. The easiest way to find a bed is to go to any town or stable and pay to stay the night. When you pay, you’ll get to choose which time of day you want to wake up, and you’ll get the bonus of getting all your hearts refilled. If you’re in the wilderness, finding a bed can be much harder. Scattered throughout the land of Hyrule there are cabins in the wilderness, and some of these have a bed that can be used to pass the time. If you’re too far away from civilization, though, it’s usually much simpler to start your own campfire if you need to skip ahead in the day. Now that you know how to pass the time, go find out how to keep warm. For more helpful info, check out our The Legend of Zelda: Breath of the Wild guide hub.